← The Russian Deception – An attempted Coup, still ongoing…. National Security — A credible plan to secure America’s Borders! General Paul Vallely is a personal friend. You will find his endorsements on some of my novels. Paul is highly respected in the areas of geopolitics and counter-insurgency. PLEASE SHARE HIS PLAN WITH YOUR ELECTED OFFICIALS, MEDIA CONTACTS, AND LAW ENFORCEMENT OFFICERS AS WIDELY AS YOU CAN. Thank you. 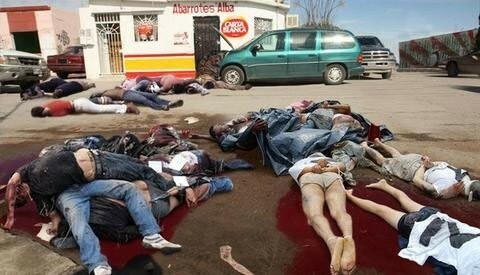 More than 29,000 people were killed in the past year in Mexico. Nevertheless, the plans of the President to construct a wall along that violent border have been thwarted by American politicians who, not unlike the U.S. Chamber of Commerce and a long list of other immoral open-borders immigration anarchists, are far more concerned with head counts on airliners, theaters, and sports arenas, then they are with body counts at the morgue! It is beyond comprehension that American politicians ignore all of these worrying facts to garner political campaign contributions which, in reality, are bribes, and have managed to bamboozle enough voters to keep them in office. If you like my article I ask that you make a point of posting it on FaceBook and other social media and forward this e-mail to as many folks as you can. It is important to dispel the lies and nonsense about the true nature and significance of effective immigration law enforcement in this, particularly perilous era. Political language — and with variations, this is true of all political parties, from Conservatives to Anarchists — is designed to make lies sound truthful and murder respectable, and to give an appearance of solidity to pure wind. Our southern border continues to be breached by illegal border crossers and the cartels movement of drugs to inner America. We must continue to be vigilant and more aggressive and forge ahead with a more offensive oriented border strategy. You cannot win and defeat this national threat by being on defense all the time. Now is the time for offensive action. Now if I were the Commander-in-Chief, I would have my national security staff and military commanders planning and executing a strategy that will secure the southern border and allow US rule of law to prevail. It is now time to truly enforce the rule-of-law along our southern borders. No more excuses…no more delays…no more politics, no more kowtowing to special interest groups, or claims by open-border believers and LaRaza. The fact is that the Citizens of the USA are in daily danger and are being killed or families harmed because the border states of Mexico are controlled by thugs and terrorists copying Jihad tactics of mayhem and murder. Once again, the entire area is festooned with upheaval, violence, and lawlessness as it was in 1846. The northern states in Mexico; Baja California Norte, Sonora, Chihuahua, Coahuila, Nuevo Leon, and Tamaulipas are under rogue control, and the Mexican Police and Army cannot control them. Therefore, it is in the national interest of the United States to restore order of the border as well across our borders. Because of this clear and present danger to US Citizens and our economy, positive action must be taken. The US Government with its dedicated National Security Council, Department of Defense, Homeland Security, Intelligence agencies and State assets can plan and execute an operational plan to secure our southern borders. However, let me provide an executable plan of operations for the US Government to undertake with resolve and commitment to protect and secure the American people for now and the future. The problems on and across our southern borders of California, New Mexico, Arizona and Texas are in the news every day. You would have to live in a perpetual cave not to know the situation. 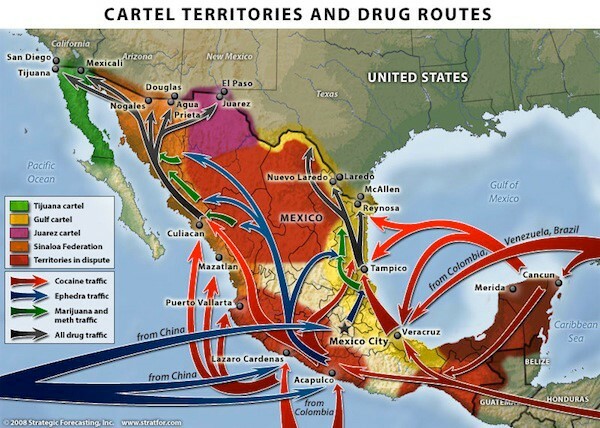 We have a war of gigantic proportions…illegal invasions, treacherous drug cartels, gangs, human trafficking, drugs (is there not a war on drugs??? ), smuggling, kidnappings, and corruption of officials on both sides of the borders. The plan is basic and advanced unconventional/conventional war planning. This combines the best use of our Forces that will encompass intelligence, targeting, structural organization of our forces to accomplish the mission, base operations, offensive and defensive operations. 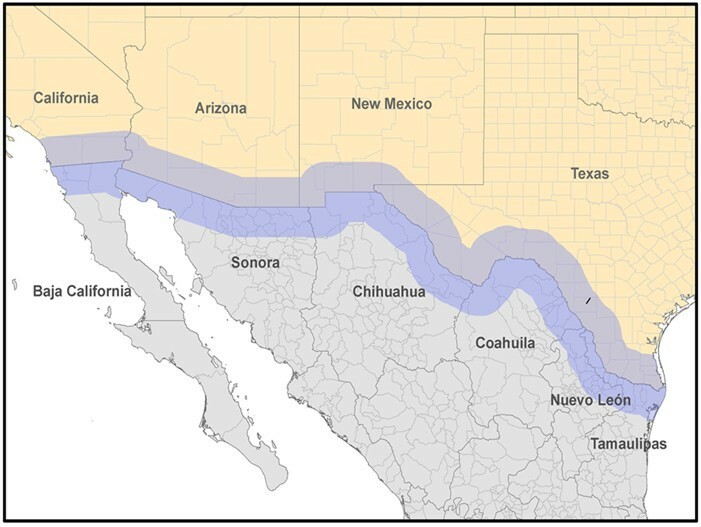 First, organize three (3) Border Task Force Groups (BTFGs) and position them in three operational bases, one in Texas, one in Arizona and another in Southern California. We have existing bases in those states that can be utilized such as Ft. Bliss, Texas, Fort Huachuca, Arizona and Camp Pendleton, California. There is no requirement to create any new operational bases. I will not name these existing bases because of operational security but Department of Defense can easily figure this out! The BTFGs will be organized based on joint task forces of Special Ops, Army, Air Force and Navy. Selected units and personal will be relocated and moved to these designated bases. I would also declare with Mexico, a 20 mile “Control Zone” on the Mexican side of the border. Any group or persons occupying this zone engaging in criminal or illegal activities against Mexico or the United States will be engaged on site. There will be approximately 5,000 warriors assigned to each BTFG. The organization will be commanded by a Two Star “Warrior” and each of the three BTFGs will be commanded by a Brigadier General. The mission for the Command will be to target and conduct offensive and defensive operations on the Mexican side of the border. National Guard, Border Patrol, DEA, and local sheriff’s units will conduct border security operations on the United States side of the border. This initiative does not violate any existing Posse Comitatus laws. The Posse Comitatus Act is a United States federal law (18 U.S.C. § 1385) passed on June 18, 1878, after the end of Reconstruction, with the intention (in concert with the Insurrection Act of 1807) of substantially limiting the powers of the federal government to use the military for law enforcement. The Act prohibits most members of the federal uniformed services (today the Army, Navy, Air Force, and State National Guard forces when such are called into federal service) from exercising nominally state law enforcement, police, or peace officer powers that maintain “law and order” on non-federal property (states and their counties and municipal divisions) within the United States. The statute generally prohibits federal military personnel and units of the National Guard under federal authority from acting in a law enforcement capacity within the United States, except where expressly authorized by the Constitution or Congress. The Coast Guard is exempt from the Act. Maximum use must be made of our Special Operators, Delta Force, Special Forces, Seals, AF Special Ops, Rangers, Marine Recon and Special Ops Air Assets and augmented by Active Force regular Army, Navy, Marines and Air Force. The concerns and anxiety of Americans, particularly in the Border States have grown significantly in the past year. Changes in law enforcement operations have forced smugglers of drugs and illegal aliens into ever more isolated areas, increasing the number of deaths and the level of violence to a point where even the most hardened enforcement officials are alarmed. The political ferment over illegals has never been greater. 78 percent of Americans think and know that the government is not doing enough to control our borders; talk shows bristle with demands for action. Additionally, Global jihad and jihadis are a major threat as they eye the southern border as a path of least resistance to strike inside the United States. In World War II, the United States Navy and the United States Coast Guard were successfully utilized to protect our homeland as the rest of our military went overseas. 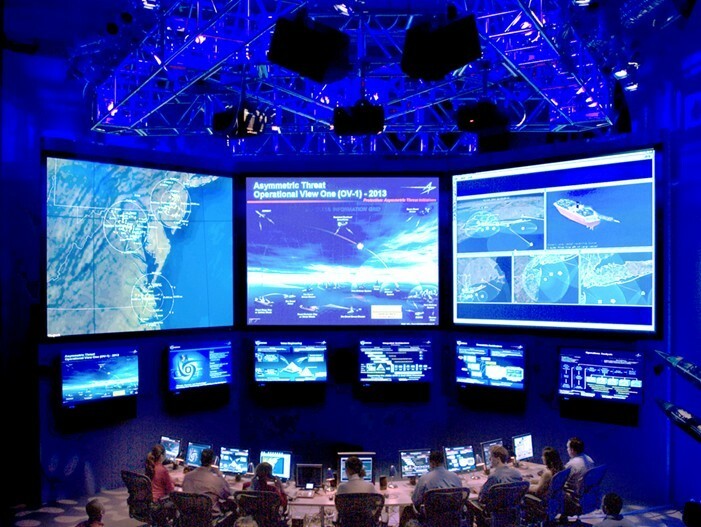 The combined effort of these joint forces successfully achieved our nation’s goals for homeland defense by effectively communicating intelligence data and incident reports to the military, law enforcement and to international intelligence directorates. Based on the gaps in coordination and communication both in the working operational environment and technological environment, I believe we should implement a similar methodology and utilize a combination of Conventional and Special Operations forces. This entry was posted in Actionable, Constitution & Gov, Enterprise, Military, Non-Fiction, Self-Defense - Guns and tagged Dark Side, Educational, Guest Author, Heroes. Bookmark the permalink. 13 Responses to National Security — A credible plan to secure America’s Borders! A CBS News reporter appeared shocked and afraid after witnessing an illegal border crossing near Roma, Texas. The reporter said he and his film crew were threatened by a “scout” who told them the area was not safe and to go away. CBS News reporter David Begnaud traveled to Roma, Texas, this week to cover a story about Texas landowners getting notices about a proposed border wall. While shooting a segment along the river border, he was shocked to see a group of illegal immigrants making their way across the river in broad daylight a few hundred yards from a U.S. Customs and Border Protection port of entry. He was even more shocked when a man with a two-way radio approached them and told them to leave…. IT IS WORSE THAN WE THOUGHT. Obama, Clinton, and Kerry have managed to bring horror to our hemisphere, to invite an invasion of illegals and foreign agents. Oh, joy! The resulting carnage and violence will result in a similar flood of refugees (the greatest number in the history of the world!) and wave of invasion as when the Hillary/Soros “Arab Spring” essentially collapsed the Nation States of Europe. TIME TO BUILD THE WALL AND PUT TROOPS ALONG THE BORDER. Latin America’s crisis turns Washington’s Cold War nightmare on its head. “The era of the Monroe Doctrine is over,” then-Secretary of State John Kerry told the Organization of American States in 2013. It was, like many foreign-policy declarations of the Obama years, gloriously optimistic and utterly wrong. President James Monroe’s declaration in 1823 that the U.S. would not permit the establishment of hostile powers in the Western Hemisphere has become the most famous idea in American foreign policy. The so-called Roosevelt Corollary of 1904 adds that if other nations in the Western Hemisphere default on their international obligations or endanger their neighbors through misgovernance, the U.S. has a “police power” to intervene. A 1912 painting of the birth of the Monroe Doctrine showing, left to right, John Quincy Adams, William Harris Crawford, William Wirt, President James Monroe, John Caldwell Calhoun, Daniel D. Tompkins and John McLean. Monroe’s original doctrine and Roosevelt’s extension have never been popular in Latin America, but U.S. presidents from Thomas Jefferson to Bill Clinton have taken an activist role in the region when they saw fit. Latin America policy has set off one firestorm after another in U.S. politics, especially during the Cold War. Notable examples include the Eisenhower-backed coup in Guatemala; the Kennedy administration’s Bay of Pigs fiasco; President Lyndon Johnson’s deployment of troops to the Dominican Republic; the Nixon administration’s opposition to Chile’s Marxist government ahead of the 1973 coup; and President Reagan’s Iran-Contra scandal. Yet after the Cold War it seemed that U.S.-Latin American relations could relax. The fall of the Soviet Union reduced American concerns about Latin American leftism. Radical governments took power in countries like Ecuador, Bolivia and even Venezuela, but this didn’t prompt a vigorous American response. Meanwhile, some Latin American nations—most notably the regional giants of Mexico and Brazil—seemed to be completing a swift transition to modern democracy and stable growth. When Mr. Kerry proclaimed the death of the Monroe Doctrine in 2013, he did so on the belief that the U.S. not only faced no great-power competition in the region, but that the leading Latin American states had achieved such stability and prosperity as to make “policing” concerns obsolete. The situation looks less rosy now. The main problem isn’t Washington’s Cold War nightmare of a triumphant Latin left spreading communism in the Western Hemisphere. It’s precisely the opposite: The implosion of Venezuela’s leftist government is driving a regional crisis. As waves of refugees flee the socialist utopia, bad actors ranging from Vladimir Putin to Hezbollah are nosing around in the ruins of the Bolivarian republic. This weekend’s alleged assassination attempt against Venezuelan President Nicolás Maduro is a harbinger of more violence to come. In better times, Venezuela’s oil wealth allowed it to lavish aid on its neighbors. Now that aid is drying up. Choices are narrowing for countries like Nicaragua, where near-civil-war conditions exist, and Cuba. Farther north in Guatemala, where some of the world’s highest homicide rates coincide with severe food shortages, asylum seekers stream toward the U.S. Washington can’t ignore so much instability so close to home. The growing interest in the region by revisionist powers like China, Russia and Iran adds another dimension to American concerns. With China seeking political influence through strategic investments in Argentina and elsewhere, and Hezbollah cutting deals with Venezuelan drug lords and politicians, the U.S. has to think once again about geopolitical competition in the Western Hemisphere. The only practical alternative to increased American activism in the region is stronger leadership from Latin American powers. But the prospects for this are bleak. Mexico’s new president appears determined to return to his country’s traditional foreign policy of committed non-interventionism, verbal sympathy for the left, and measured distance from the U.S. Brazil is paralyzed by the implosion of its political class in a series of corruption scandals and spiraling polarization. Mr. Kerry’s post-Monrovian moment did not last. In February then-Secretary of State Rex Tillerson said the Monroe Doctrine is “as important today as it has ever been.” That viewpoint has not changed under Secretary Mike Pompeo. If anything, the urgency of Latin American problems has increased. A return to a more Monrovian hemispheric policy may be necessary at a time of intensifying geopolitical competition, but it will likely be costly. Many U.S. interventions, military and political, have exacerbated rather than solved the problems Washington sought to address while the polarizing domestic controversies they produced embittered American politics. The Trump administration faces stiff challenges in the region even as the global scene remains threatening; the return of James Monroe is not a sign that things are going well. A lot of American History has been erased. Some involves our Statue of Liberty. The plan was to build a shining city on a hill, to invite LEGAL immigrants to come, share our values, embrace our culture, and to help. It was NEVER intended to invite invasion. BEWARE THE UN AND THE DEEP STATE. Warning: The UN’s Refugee Pact is even worse than its Migration Pact and both will be signed in December 2018. “In parallel with the highly criticised migration pact, the UN has also prepared a refugee pact. Both these treaties are intended to be signed at the conference in Morocco on 10-11 December. Even if the pact is not legally binding, it refers to obligations. Thus, a kind of soft laws that restrict the sovereignty of the countries. Some of the points included in the refugee pact are as follows…. Leaders in Europe are waking up, but it might be too late. Churchill saved the world from Hitler, and then America saved England. It’s again a time like that. Western civilization is at stake and our enemies are powerful. “British MEP Janice Atkinson warns that the UN Compact on Migration would lead to Europe being flooded with 59 million new migrants within the next 6 years. Here is an excellent short article quoting a Border Patrol agent about the dangers to America posed by the Invasion Caravans. AND HERE I THOUGHT I WOULD ***NEVER*** BE QUOTING THE NY TIMES. 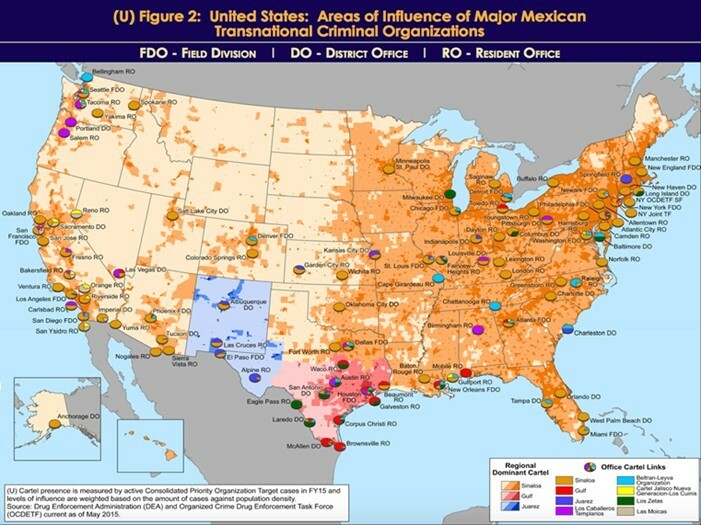 Everyone — drug runners, gun runners, terrorists, human traffickers and on and on are making huge amounts of money from illegals and our porous border. So are “humanitarian” firms. WHO IS FUNDING THE INVASION CARAVANS? “The caravan is organized by a group called Pueblo Sin Fronteras, but the effort is supported by the coalition CARA Family Detention Pro Bono Project, which includes Catholic Legal Immigration Network (CLIN), the American Immigration Council (AIC), the Refugee and Immigration Center for Education and Legal Services (RICELS) and the American Immigration Lawyers Association (AILA) – thus the acronym CARA,” WND reported. At least three of the four groups are funded by George Soros’ Open Society Foundation. “Mass immigration into the United States could never make even a small indent on reducing world poverty. But mass teachings on how America was built—capitalism, free markets and limited government—could forever alter suffering countries. HERE IS AN EXCELLENT January 2019 INTERVIEW about Border and National Security with General Paul Vallely. This runs from about 1:05 to 1:30. Subject: Fwd: WHAT IF ALL ILLEGALS LEFT THE UNITED STATES? Immigration; homework on issues is part of her make-up and fabric! the facts by a good reporter! or more vacated America? This may surprise you! one another as English became the dominant language again. terror that those 7,300 alien criminals set upon local citizens. have suffered death, accidents, rapes and other crimes by illegals. poor would gain jobs at a living wage. annually, and an equal amount for local, state and city coffers. 100 languages that degrade the educational system for American kids. kids at a cost of billions in ESL and free breakfasts and lunches. from Americans! No more foreign rapists and child molesters! suffers a $20 trillion debt. $20 trillion debt!!! in our country – brought in by illegals unscreened at our borders. grid locking our cities’ greenhouse gases. what the New York Times called, ‘colonias’ or new neighborhoods. electricity, or any kind of sanitation. and our way of life. Interesting Statistics below! 2. $7.5 billion dollars are spent each year on Medicaid for illegal aliens. speak a word of English. aliens. That’s $1.2 Billion a year. 6. 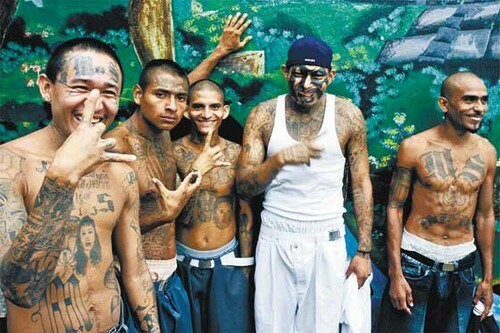 28% percent of all federal prison inmates are illegal aliens. welfare & social services by the American taxpayers. caused by the illegal aliens. cost of between $41 and $46 billion annually over a five year period. to their countries of origin, to their families and friends. crimes are committed by illegal immigrants in the United States! forward this to everyone YOU know! Here is the #MAGA upgrade to the Washington Post Superbowl #FakeNews AD.